Extreme Winters that Winnipeg Manitoba suffers, snow(winter) tires though not manatory, should be put on for your safety. Snow tire treads are designed with maximum biting edges to connect with any extreme winter surface. Winter tires are provided with Siping. Siping is the process of cutting thin slits across the surface of a tire to improve traction for driving in snowy, wet or icy conditions. The Siping, tread design and tread compounds are made to perform especially in cold, icy, slushy, snow winter conditions. Wide grooves help to channel snow, ice, slush or water away from the tire’s surface giving better contact between the tire and the road. Tread compounds are engineered for traction, when the temperature drops below 45 degrees F or 7 degrees C.
The only thing that will increase the traction of your vehicle are your tires. Traction control or ABS braking, are aides only. All-wheel drive is good but All-wheel drive with winter(snow) tires is even better. Exchanging your summers tires and wheels, with winter tires and wheels, will extend their usage. Some winter tires are designed to allow for the installation of studs which are small metal pins that are inserted into the tread. Studs provide increased traction in icy conditions. The pin should protrude at least 1 mm for the tire to function properly. Snow tires do not eliminate skidding on ice and snow, but they greatly reduce risks. Studded snow tires are not legal in all areas,but they are in Manitoba, from Oct 1st to April 30th. It is also a good idea to keep a set of snow chains in your vehicle when traveling. 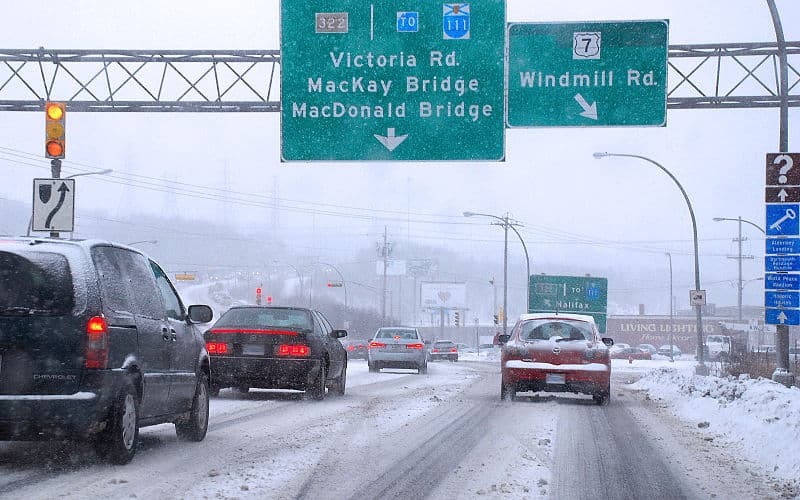 To maintain the safety, control and traction in all vehicles types, it is recommended to install winter tires in sets of four as opposed to only replacing front or rear set. Matching all four tires on your vehicle helps to ensure dependable and consistent traction, control and safety. tread designed with maximum biting edges to connect with any extreme winter surface. high-sipe density for maximum winter grip. Optimized sipe configuration for better block stability and enhanced cornering in any winter condition. Winter control ready to handle icy, snowy, slushy, and cold roads. micro-pores that provide grip mechanism for continued traction on ice and snow season after season.